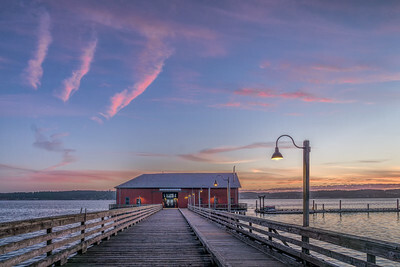 Coupeville, Washington, the heart of Ebey's Landing National Historical Reserve on Whidbey Island, including the Coupeville Wharf. 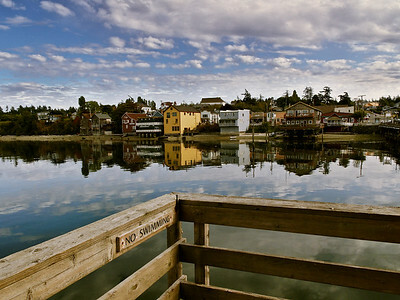 Coupeville, seen from Twin Lagoon Camp. 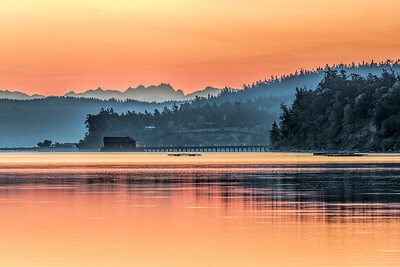 When enlarged, you'll see a bald eagle and a harbor seal resting on the mussel rafts. 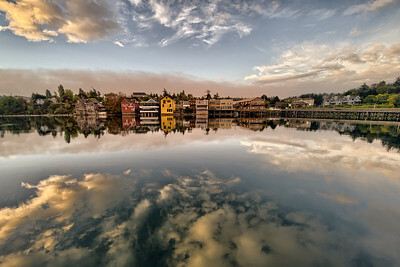 Penn Cove reflects clouds above the Coupeville waterfront. 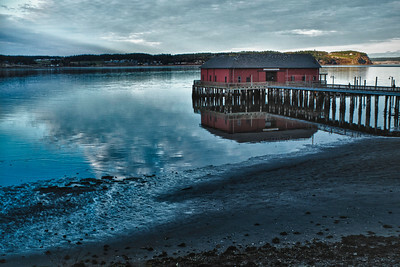 Coupeville's waterfront wakes to warm morning light. 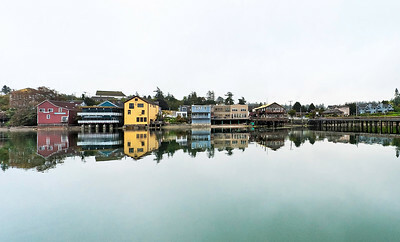 A wide view of the Coupeville waterfront on a calm morning. 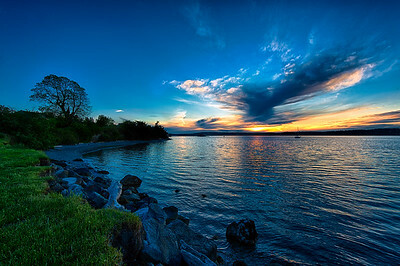 The moon sets at dawn in Coupeville ... as Vincent VanGogh might have seen it. 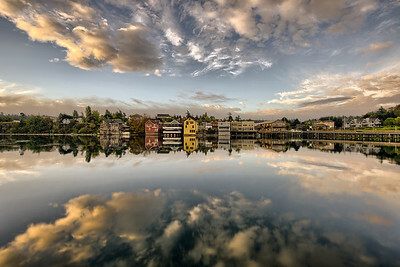 Clouds and their reflections frame the Coupeville waterfront. 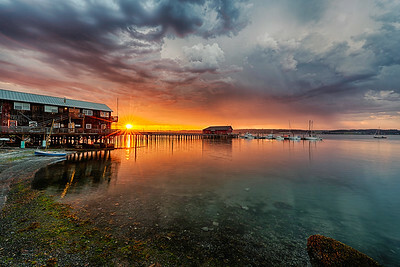 Another magical morning on Penn Cove. 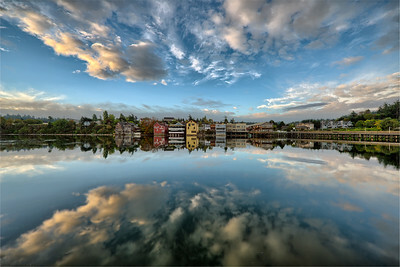 Reflections of clouds frame the Coupeville waterfront. 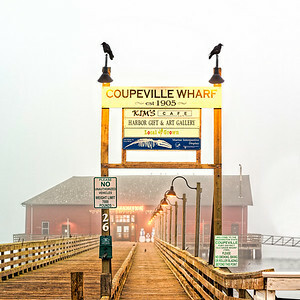 Crows roosting at the Coupeville Wharf ... probably taking a break from enjoying Penn Cove Mussels. 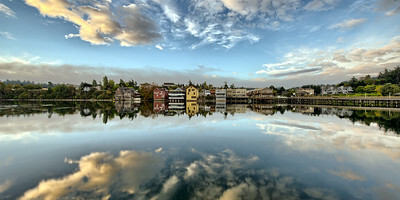 Waterfront Reflection: Coupeville, Washington, reflected in Penn Cove. 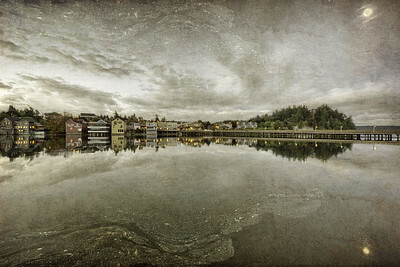 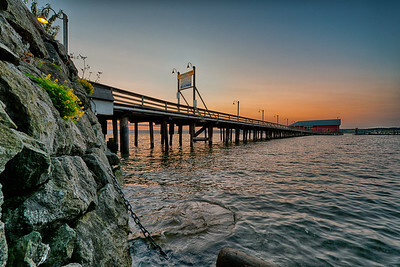 The New Waterfront: a recent panoramic view of the Coupeville, Washington waterfront and wharf. 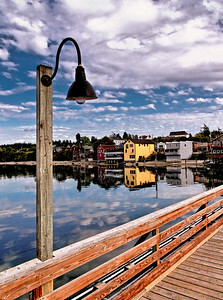 Wharf Lamp: Coupeville, Washington framed by a lamp on the historic Coupeville Wharf. 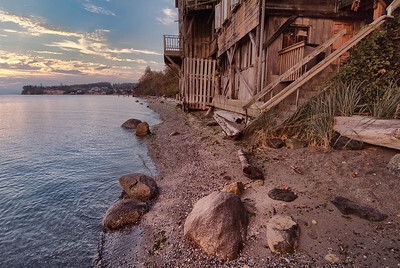 Iconic tree next to the Coupe house in Coupeville. 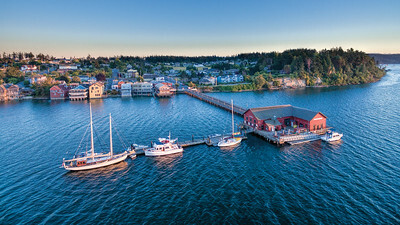 The historic yacht Suva is in the foreground. 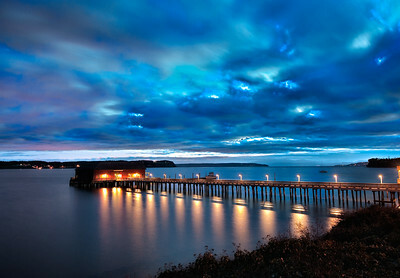 Before Dawn: at the Coupeville Wharf. 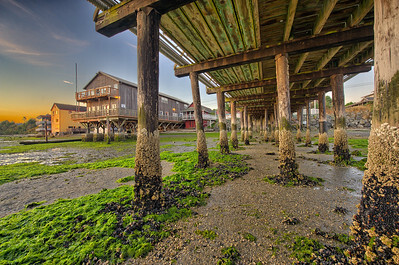 Lady Washington at the Coupeville, Washington wharf. 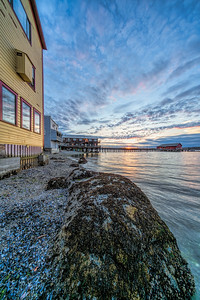 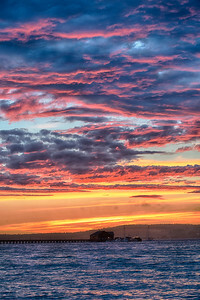 A June sunset behind the Coupeville Cash Store building showing the mussel shell-strewn beach. 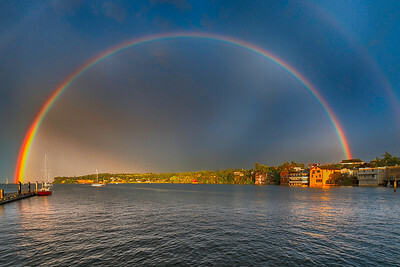 Another day, another rainbow over Penn Cove. 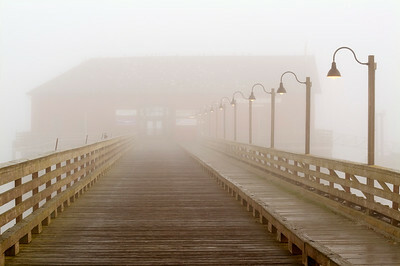 Wharf in Fog: historic Coupeville Wharf. 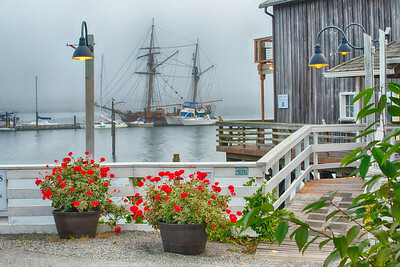 The tall ship Hawaiian Chieftain rests at the Coupeville Wharf on a foggy morning. 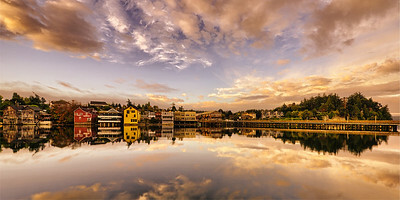 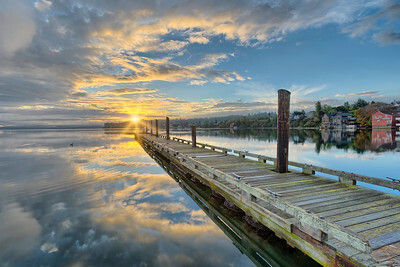 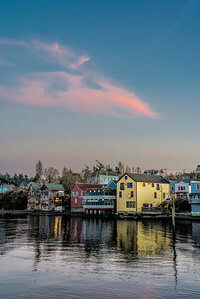 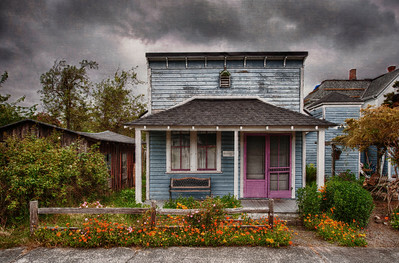 Slickers: this panorama of a boating couple walking on the Coupeville, Washington wharf took first place in the juried art show at the 2001 Historic Coupeville Arts & Crafts Festival. 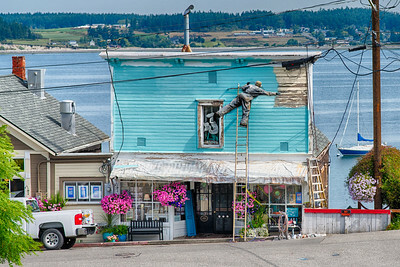 Reaching out to complete a fresh look. 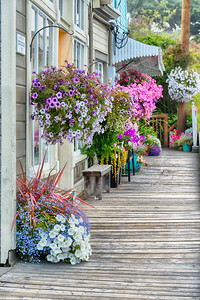 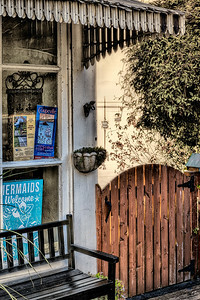 Hanging flower baskets brighten the colorful end of Coupeville's Front Street. 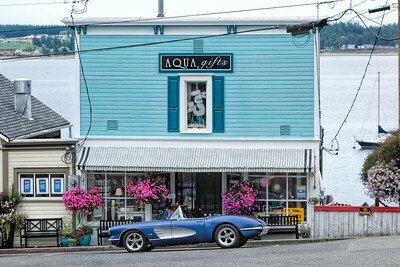 Vintage Corvette sets off fresh paint job on a Coupeville shop and flower baskets provide accents. 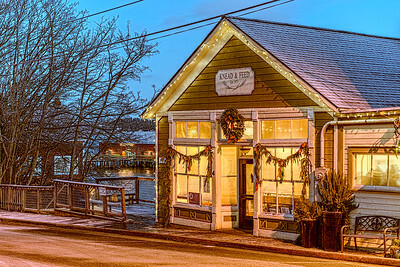 Coupeville's favorite bakery on the frosty morning of 1/2/2016. 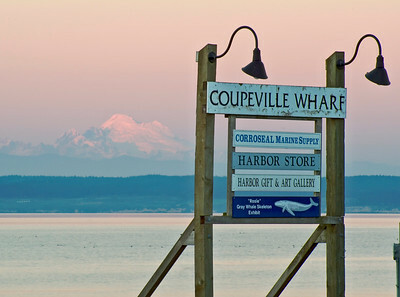 Coupeville shop window and Penn Cove background. 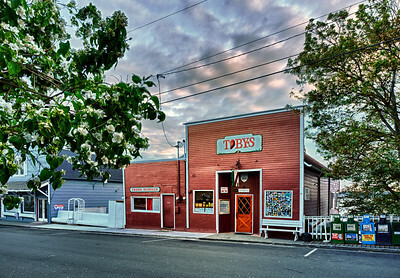 Toby's Tavern framed by trees in bloom. 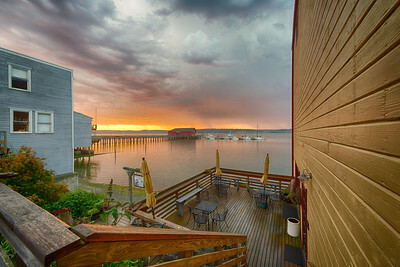 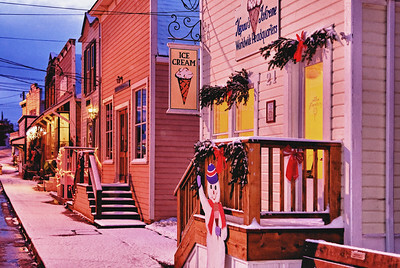 Elkhorn Trading Co.: and Mariti Chocolate, Jan McGregor Gallery, Kapaws Iskreme, Mariner's Court in Coupeville, Washington. 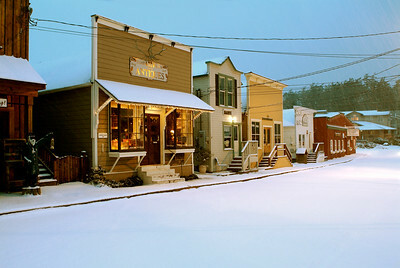 Knead & Feed in Snow: Coupeville, Washington. 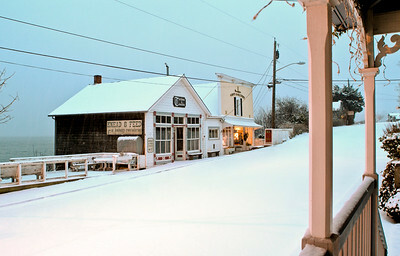 Below Front Street: the rear of Knead & Feed before the new deck was built.